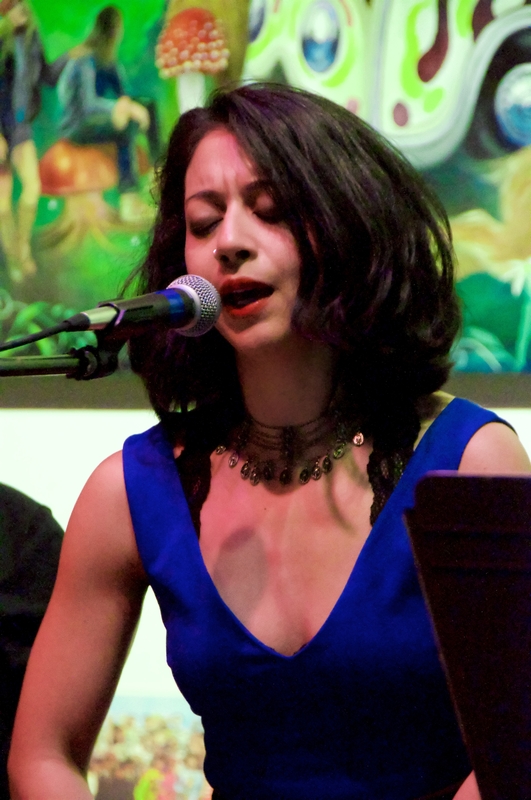 Jenny Luna is a lifelong musician. Though she plays a diverse array of instruments, at the age of 14 she decided to dedicate herself to vocal study and since 2007 has focused on Balkan and Turkish music. She has had the privilege to study with renowned singers and had musical mentors such as: Güzin Değişmez, Linda Musollari, Brenna MacCrimmon, Polly Tapia Ferber and Paul Brown. Jenny’s main project is her trio, Dolunay, a group performing Rumeli urban folk music of the Turkish people across the Balkans. Dolunay released an album titled 'Our House' in 2015 on Chamsa Records. The trio has been together since 2012 and has performed as well as held residencies at many premiere NYC venues. Jenny also performs with various ensembles in NYC which range in style from Balkan, Turkish, Sephardic and other genres. You might also occasionally find her sitting in on a jazz session. Jenny is interested in exploring opportunities to use music to bridge the gap between cultures. Most recently she has begun a collaboration with artists in the San Francisco Bay Area exploring Turkish, Balkan and Spanish music with flamenco dancer, Bianca Rodriguez. This project 'Olé, Opa!' has been collaborating since 2016. Jenny, a native Spanish speaker, is a teaching artist at One World Project Multilingual Community Center where she works with preschool children, aged 2-5, to develop Spanish language skills through music. Jenny is Musical Director for The Possibility Project's After-School Program. In this role she works with diverse groups of teenagers interested in social justice to create original music based on their own personal experiences. Click to read more about The Possibility Project. Jenny holds a B.A. in Contemporary Music with a focus on Vocal Performance from the Santa Fe University of Art and Design and currently resides in Brooklyn, NY.